All the pundits predicting the 2018 food trends agreed on one thing. Vegetable-based foods are HOT, they said. It seems more Aussies are going vegan, which is no doubt why pizza chain Domino’s announced its vegan pizza range in January. There are three different varieties, all using vegan cheese, or you can build your own from a list of veggie ingredients. According to a Euromonitor International market research report in 2016, Australia was the third fastest-growing market for vegan food in the world. They put the total value of packaged vegan food at about $136 million and predicted that it would rise to $215 million before 2020. Vegan pizza is unlikely to be the most popular form of vegan-friendly food, with milk products making up the greatest share of the market. However, ‘fake’ meat products are beginning to make inroads. They’re even making their way into the non-vegan world and at least one forecaster predicted that traditional meat dishes like burgers may soon be blended with mushroom or soy. No good for vegans, but a way for the rest of us to reduce our meat intake. 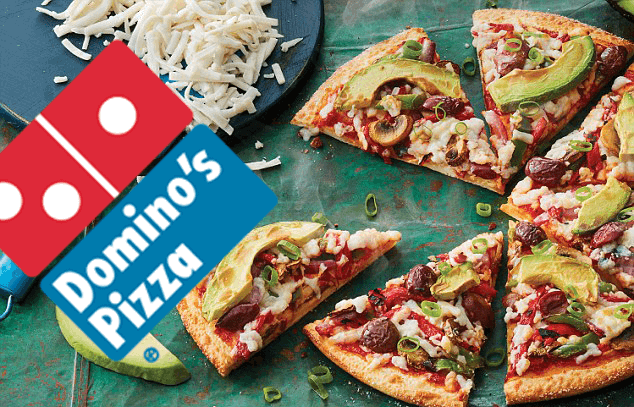 The Domino’s vegan pizza comes in Vegan Avocado Veg, Vegan Spicy Veg Trio or Vegan Margherita. They use vegan mozzarella ‘cheese’. Non-dairy cheeses are made from a range of ingredients including starches, plant oils and proteins, yeast, soy and non-dairy ‘milks’. It’s not clear what goes into the version Domino’s uses (made by a company called ‘Livekindly’ but a typical non-dairy mozzarella is made from tapioca and arrowroot flours, plant oil, pea protein, natural flavours and salt. Domino’s do point out (in very small print) that their vegan pizza is made on the same equipment as their regular equipment, so they can’t guarantee that they’re 100 per cent free of animal matter. Along with the vegan trend, experts predicted more ‘concept’ or ‘niche’ restaurants (in November 2017 a pop-up restaurant served only avocado dishes), an increasing reliance on technology (think delivery apps) and a continuing explosion of fermented foods as we enter yet another era of health-consciousness. « 2018 Violet Crumble ownership change	» 2018 Single-use plastic bags banned. Or not.